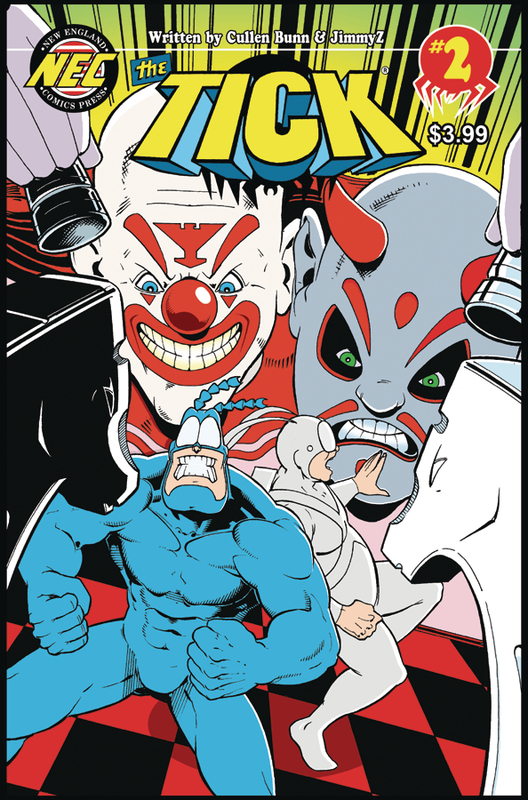 The success of the Tick Amazon show has opened up the door for a few more Tick comics (hooray), a few of which I've been involved with (also hooray), so I thought I'd take a minute to point out just what's out there, and a little bit about what's to come! The Tick #1 showed up in comic shops in October, 2017, much to the delight of, well, hopefully people other than me, but perhaps most importantly, me! The book had been a long time in coming. Artist Duane Redhead and I managed to get a six-page story printed in the back of this issue, and if I can say so (I can), it looks really nice. Duane provided pencils, inks and colors this time around, which I think adds a different dimension to his work. 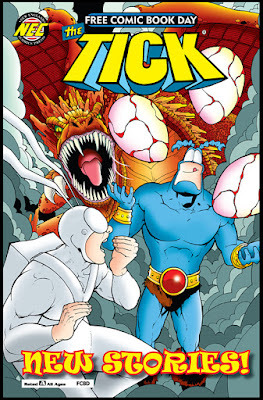 The Tick #2 followed shortly after, in December. In between the first and second issues, Duane took over as the regular artist, which is good for him. There's another short story written by me in the back of this issue, one that ties directly to a sequence in issue #1. 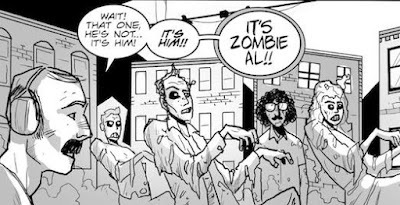 Art on this story was provided by Alex Harris, a Boston native who drew a short story for the 2016 Local Comic Shop Day comic. Issue #3 should be out before the end of February, and I also have a few pages in that issue. I hope that you (yes, you) check it out and support the book! 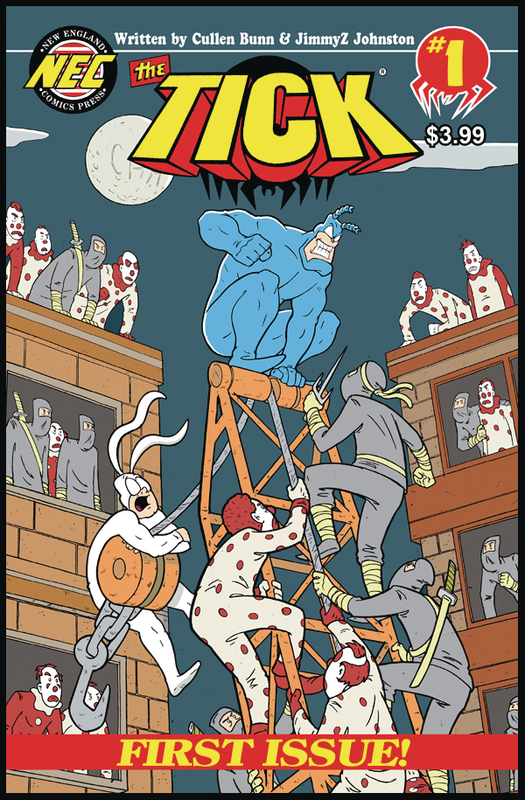 May brings another Free Comics Book Day, and another FCBD issue of The Tick. This one has a few stories in it, with the main story written by me with art by Ian Nichols (Duane drew the cover). This story takes a plot from Ben Edlund, which is both exciting and really intimidating for me. Think of it as Conan meets The Tick, I guess. Have we all gotten our Tick Funko Pop figures yet? Is there any license that Funko doesn't yet have? (Weird Al Pops coming later this year.) 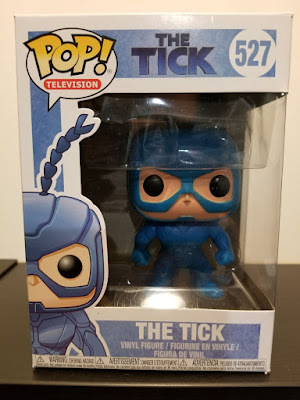 This new figure is the "regular" version of the limited, glow-in-the-dark Tick Pop that came out for last year's Comic-Con. Still no word on when Arthur, etc., will be out. I managed to find a copy of San Diego Comic-Con Comics #3 recently. 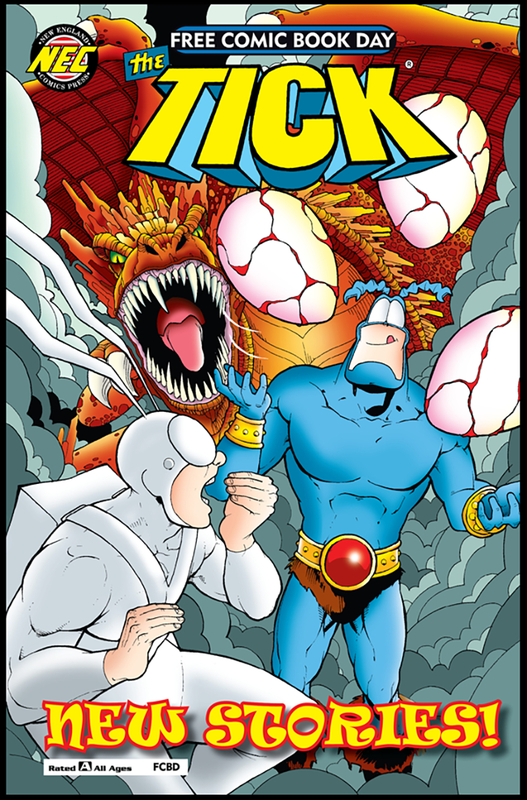 This four-issue series ran in the early-to-mid '90s as an exclusive comic co-produced by Comic-Con and Dark Horse Comics. The Tick has a brief cameo in this issue! There's also a RoboCop with a toaster for a head. Lastly, I got a package in the mail a few weeks ago from Duane, and inside resided some original art - the cover to the Tick 2016 FCBD special! This might be my favorite piece of work from Duane's and my run on the book, so it was pretty exciting to find this waiting for me. 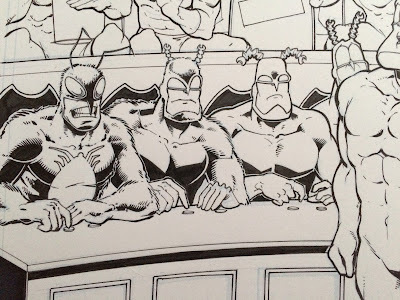 ...and my personal favorite, Edlund's original Tick from the character's first NEC newsletter appearance! Let's keep our fingers crossed for the rest of 2018. There are a few more things on the horizon.